(by Julia Edwards, Reuters) – Leading U.S. universities are pushing back against a proposed State Department rule that would bar foreign students from more research projects and classes involving information seen as vital to national security. The proposal by the Obama administration reflects growing worries in Washington over a rise in intellectual property theft from foreign adversaries such as China. Defense contractors such as Northrop Grumman, Boeing and Lockheed Martin regularly sponsor university research, but did not respond to requests for comment. Some top U.S. schools do not accept any research grants that restrict participation by foreign citizens because they say it runs counter to their policies of academic freedom and non-discrimination. In a letter to the State Department, Stanford University said it joined The Association of American Universities (AAU), Massachusetts Institute of Technology (MIT) and the University of Pennsylvania in criticizing the rule, citing “disastrous consequences.” The AAU represents 62 leading research institutions, including Harvard, Duke University, and the University of Chicago. The universities say the rule would tip the balance too far in favor of national security against academic freedom. No current cases of industrial espionage involve university research, though government officials told Reuters they suspect university faculty are violating loosely defined research rules. 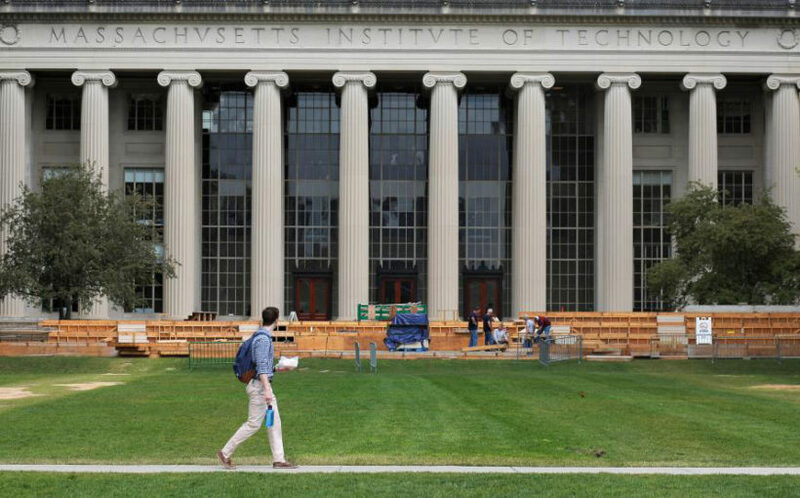 There were just under 1 million foreign students at U.S. colleges in the 2014-2015 school year, 31 percent of whom were Chinese, according to the Institute of International Education. That has grown from fewer than 100,000 in the 1960s when the United States began regulating their access to research. In 2015, the number of intellectual property cases investigated by the FBI rose 53 percent from the previous year. The FBI says China is the main culprit. It has accused Chinese nationals of attempting to export technology from the United States, including genetically modified corn seed and sensitive military information stored on Boeing computers. The Department of Justice said in a statement that “we know that some foreign spies and criminals target students and faculty alike to steal valuable technology and intellectual property.” It added it was working with universities and laboratories to raise awareness of the threat. Experts in counterterrorism and counter nuclear proliferation told the State Department tighter restrictions on research access are necessary because universities are “a soft target,” said Tony Dearth, director of defense trade controls licensing at the State Department. 2. Why did the State Department propose the rule? Be specific. 3. What is intellectual property? 4. a) What type of research would be most affected by the State Department rule? b) List the companies mentioned in the article as regularly sponsoring university research. 5. a) Why do universities say they oppose restrictions on participation of foreign students? b) What is another likely reason for the universities’ opposition? 6. The universities say the State Department’s rule would tip the balance too far in favor of national security against academic freedom. What do you think is more important: protecting national security or giving foreign students the same academic opportunities as American students? Explain your answer. 7. What did a 2011 FBI report disclose? 8. a) By what percent did the number of intellectual property cases investigated by the FBI increase from 2014 to 2015? b) The FBI says China is the main culprit. What has the FBI accused Chinese citizens of doing? In the first case of its kind, University of Tennessee electrical engineering professor John Reese Roth was convicted in 2008 of exporting “defense articles” without a license, and of wire fraud and conspiracy and sentenced to four years. Roth used foreign students in research on plasma-based flight-control devices for drone aircraft under a U.S. Air Force contract. He let two foreign students illegally gain access to sensitive information and export it to China, said the FBI. The proposed rule would expand the definition of research classified as “technical” to any project that undergoes a pre-publication review by a private sponsor. Unlike less-sensitive “fundamental” research, technical research is regulated in a variety of ways including a requirement that foreign students must apply for a license. Students from China, Iran and North Korea are usually denied licenses, said university officials.